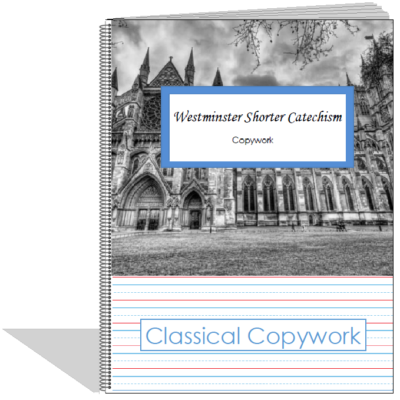 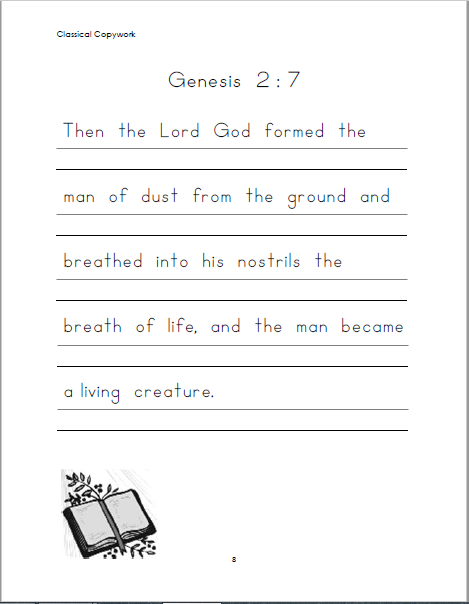 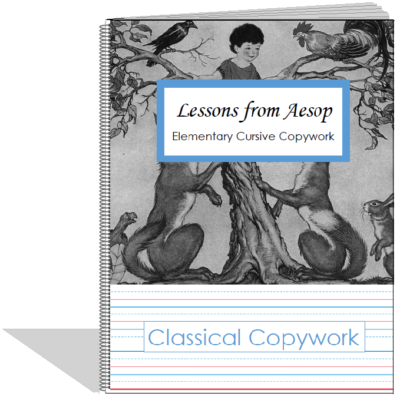 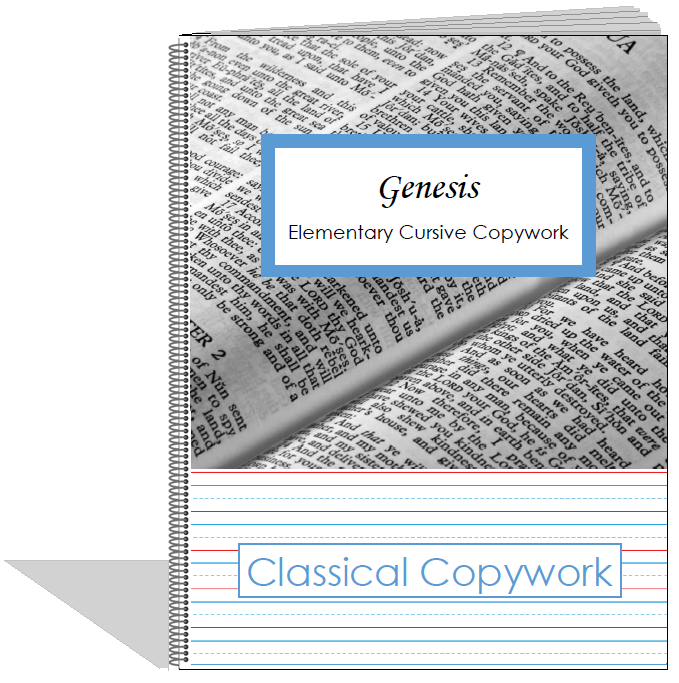 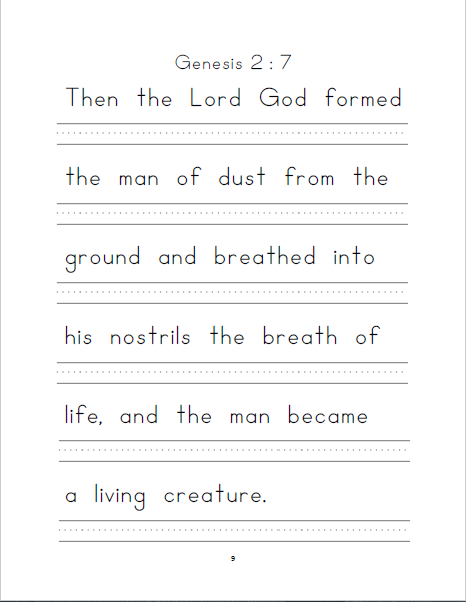 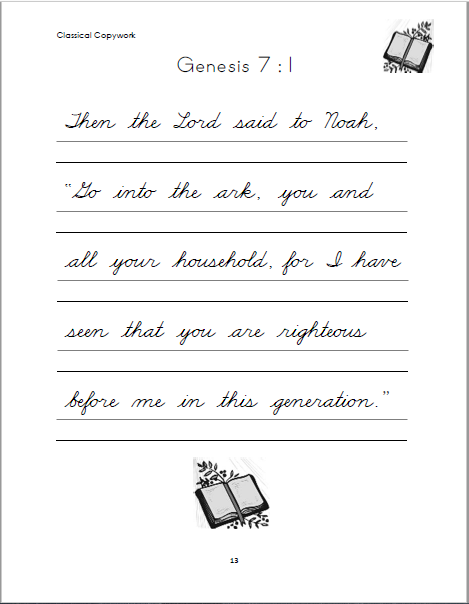 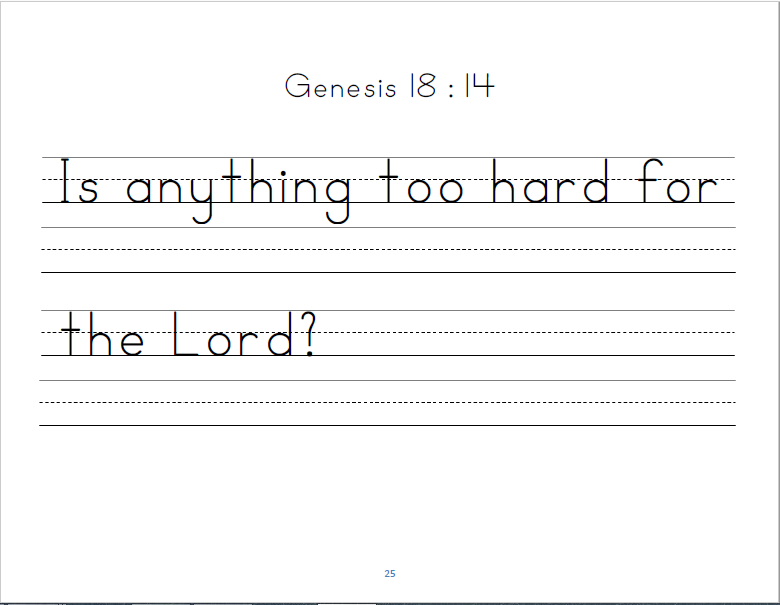 Each of these copywork pages is a verse from a chapter in the book of Genesis (ESV Bible). 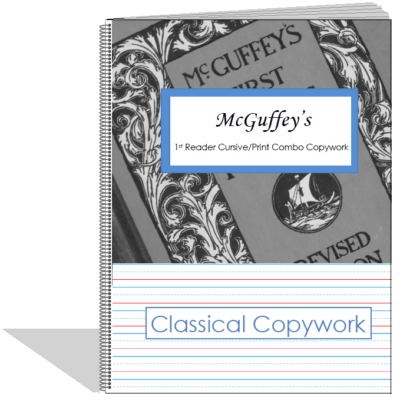 There is one verse for each chapter, a total of 50 pages of copywork. 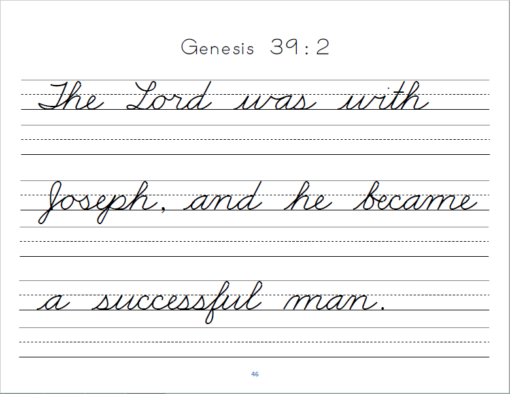 Beginner – The lines are about 5/8th inch tall with a mid-line to help your child position their letters correctly. 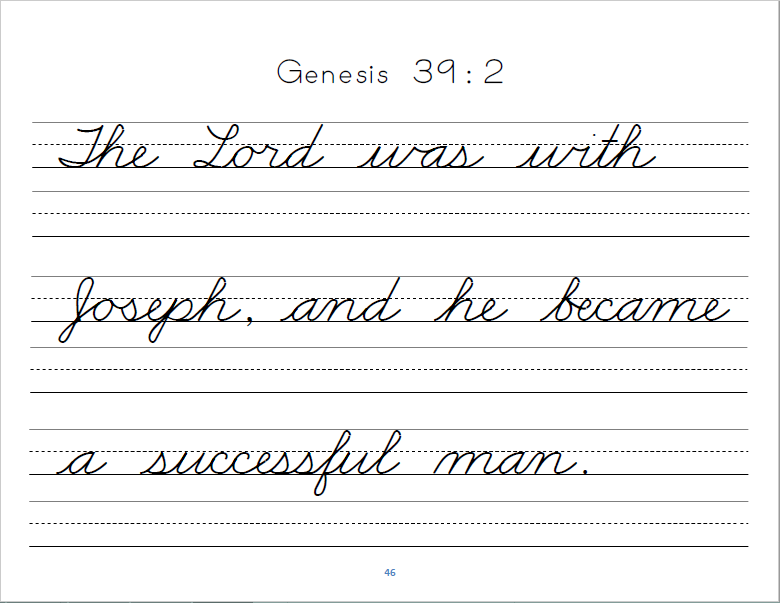 Elementary – The lines are about 3/8th inch tall with a dashed mid-line to help your child position their letters correctly. 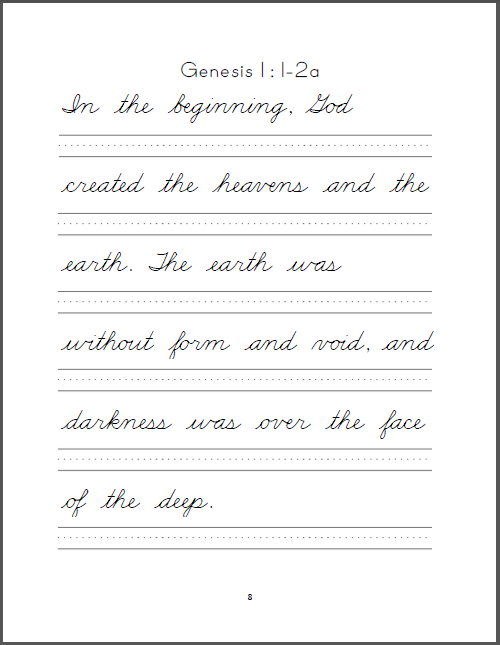 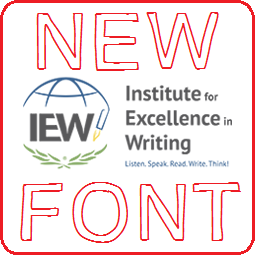 Intermediate – The words are placed directly above each line and the lines are approximately the size of the lines on wide ruled paper. 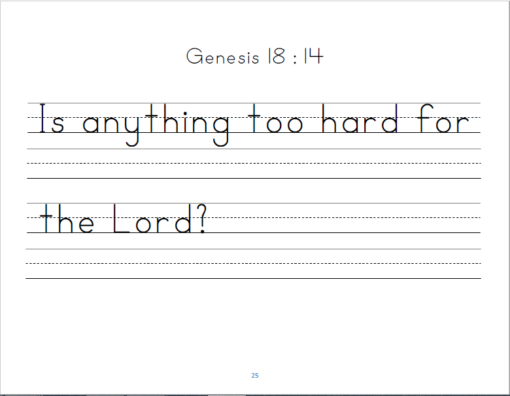 Verses have been picked that most fit the point of the particular chapter.